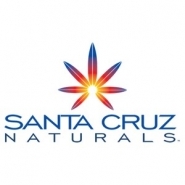 Santa Cruz Naturals has been dispensing quality cannabis and cannabis products since 2011. We are a family-run business who values our community, the environment and quality. Therefore, we choose only the best products to share with our clients. We remain the only "Clean Green Certified" dispensary in Santa Cruz County. Every day we offer 15% OFF for our Early Bird Special 8am-9pm and Happy Hour 2pm-3pm.